Data security is a top concern these days. In a world of privacy regulation, intellectual property theft, and cybercrime, ensuring data security and protecting sensitive enterprise data is crucial. 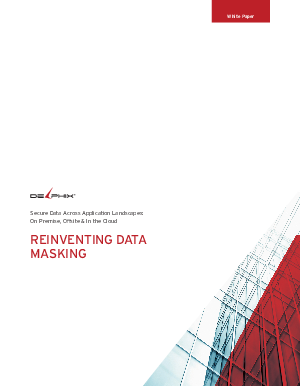 Only a data masking solution can secure vital data and enable outsourcing, third-party analysis, and cloud deployments. But more often than not, masking projects fail. Some of the best data masking tools bottleneck processes and once masked, data is hard to move and manage across the application development lifecycle.